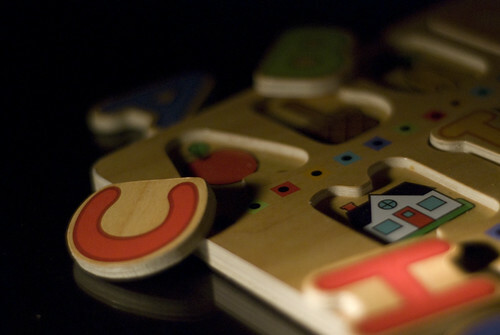 “A” Is For Alphabet Puzzle (59/365 year 3) – Annoyingly Boring? Shot a couple others that I liked too, but went with this one. I think it is the stronger photo and I actually like that the letter A piece isn’t the focal point. Makes it more subtle. What do you think? I like it! It would have taken me a minute to figure out what “A” is for, if you hadn’t named it. Nicely done! I really liked that “A” was not directly in the puzzle. But, I do love that the “C” is resting on the “A” spot. Nice. I agree with Alissa I like that the “A” isn’t prominent but is still there. And ….. it begins ….. I like the idea, however, for me, the ‘H’ is drawing more attention since it is the brightest thing in the shot. When I put my hand over the H, the image is stronger. I wish the ‘C’ had the sunlight on it like the ‘A’s’ did in your other compositions.